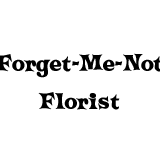 We are a locally owned full service florist. We carry a complete selection of the finest fresh and silk flower arrangements along with stuffed animals, balloons, green plants and gift items. We also carry Lindsay Phillips Switchflops and Godiva Chocolates. We offer free local delivery to Houston Healthcare Complex, Heritage Memorial Funeral Home, McCullough Funeral Home, Nelson&apos;s Memorial Mortuary and Richardson Funeral Home. Whatever the occasion, we would appreciate the opportunity to serve you! Order your Valentine’s Day flowers today for best selection!